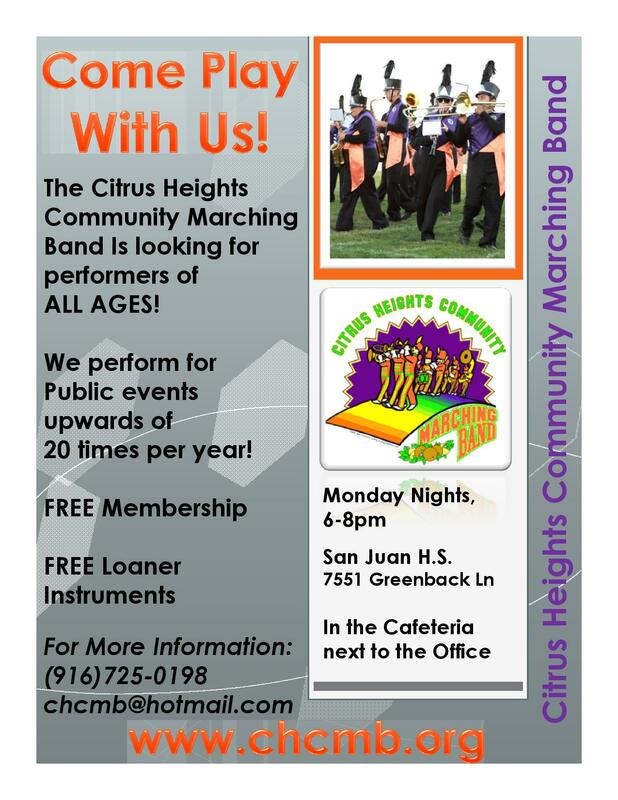 Join the award-winning Citrus Heights Marching Band! The band is supported through generous donations from the local community and businesses. Join us! View the registration flyer.